This article was originally published on Cronkite News and is republished here with permission. Tribal leaders Monday called on federal lawmakers to avoid another government shutdown, saying the shutdown that ended in January was felt across Indian Country, hitting everything from housing to tribes’ efforts at economic development. 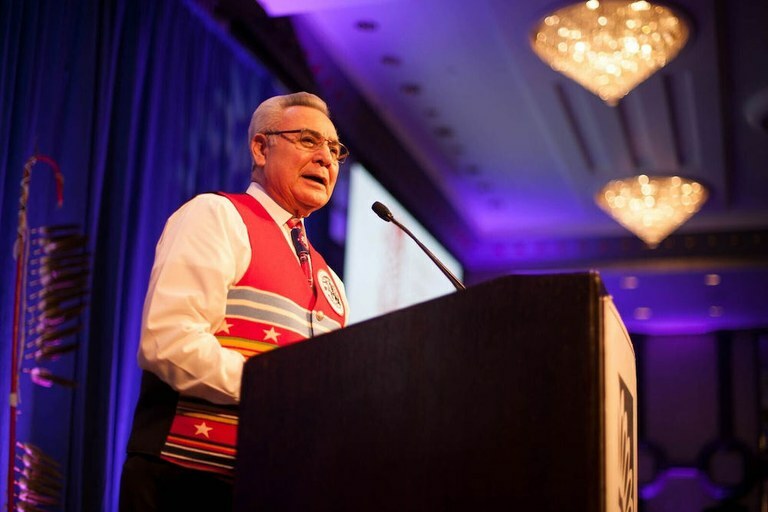 President Jefferson Keel delivers remarks at the 2018 State of Indian Nations address in Washington D.C. It ended on Jan. 25 when a three-week budget was approved to give lawmakers time to negotiate a border security plan as part of a longer-term budget. But the extension only runs through midnight Friday and Democrats and Republicans on the conference committee are reportedly at an impasse over funding for holding space for immigrants charged with entering the country illegally. The shutdown hit hard on the Navajo Nation, where roughly 5,000 people saw federal aid put on hold and road maintenance stalled in the midst of a snowstorm, denying some tribal members access to water and heat.